Nicole started her career practicing law in the New York metropolitan and Capital District regions. Following the birth of her children, she shifted her focus to consulting. Nicole pays close attention to detail and is an astute listener. She excels at research, thrives on absorbing new information, and is passionate about obtaining the best results for her clients. With years of negotiating and advocacy experience, she can expertly guide you through the process of buying or listing a home. Nicole has spent most of her life living and working in the Capital District, but has also enjoyed extended stints in Charlottesville, Virginia; the San Francisco Bay Area; and Manhattan. She possesses a thorough understanding of our area and its markets, as well as personal knowledge of the issues that can arise when relocating from one region to another. Over the years, Nicole has developed an extensive network of professional and social contacts. 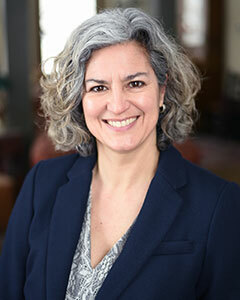 She has served on the boards of the Saratoga Springs Preservation Foundation, Beagle School, and Saratoga Unites, as a mediator in Saratoga Springs City Court, and as an active member of the Galway school community. Nicole also officiates girls high school basketball and is a former girls high school tennis coach. In her spare time, Nicole enjoys yoga and tennis, attending her children’s school and sporting events, tackling home renovation and landscaping projects, and reading. Contact Nicole V. Clarke, Licensed Associate Real Estate Broker with Berkshire Hathaway HomeServices Blake, REALTORS® Saratoga Springs Office, via text, email, or phone for all your real estate needs!